Heaters are home appliances designed to provide warmth in a specified space in the home. Some may cover larger areas such as dining rooms, family rooms or bedrooms, while others adapt very well and can warm your kitchen or basement areas. Whenever you plan on purchasing a heater, you should carefully read the handling instructions and ask the salesperson about functionality that isn't clear. There are many models on the market such as electric, ceramic, oil filled radiant, gas, geothermal, kerosene, infrared, air, induction, wood, cathode and solar heaters to name just a few. They are available in many shapes and sizes fitting various environments. An electric heater is a household appliance which converts electrical energy into heat through an electrical resistor following the Joule principle of heating. Ceramic heaters have an embedded ceramic infrared radiator which is a resistance heating wire. The heat produced is transferred to the ceramic material covering the infrared radiator. Oil filled radiant heaters create heat from the oil inside the heating system which circulates through the coils and fins to radiate heat inside the room. During the process of converting electrical energy into heat energy a great deal of it is lost. Therefore an electrical heater is left with about 45% of the energy for heating purposes. This type of heater is better suited to heat small parts of a room as its range is limited. Ceramic heaters conserve the energy radiated within the ceramic capsule allowing the heat to last for more time. They are able to save 85% of the heat energy generated and heat an entire room. Ceramic heaters are safer because the radiator is embedded in ceramic material. A large surface area of oil filled radiant heaters allow for an entire room to be heated. The self-conserving oil included within the system can be used for an extended period of time providing good heating each time. The running costs of an electrical heater are high if the appliance is used for an extended period. The best way to cut costs is to let it work only when the rooms or spaces are occupied. Ceramic heaters have lower running cost as the energy is conserved, but they are more expensive than other heaters. Oil filled radiant heaters can help you save money because the running cost is lower due to the self-conserving oil included. It can be easily renewed and last for a much longer period of time. 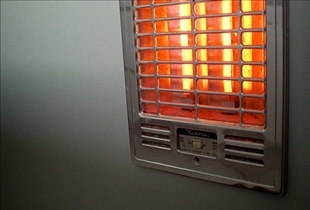 An electrical heater converts electrical energy into heat. Ceramic heaters generate heat through a ceramic infrared radiator. Oil filled radiant heaters create heat from the oil included in the system. An electrical heater loses 55% of energy to produce heat. Ceramic heaters conserve 85% of the energy. Oil filled radiant heaters have a larger surface area and can provide heat for an extended period of time. An electrical heater comes with high running costs. Ceramic and oil filled radiant heaters have lower running costs as they conserve more heat. Which heater works better in low humidity? What about humidity? Is there any comparison available? This statement is incorrect, "During the process of converting electrical energy into heat energy a great deal of it is lost. Therefore an electrical heater is left with about 45% of the energy for heating purposes." Where do you think the remaining 55 percent goes? Electric heaters are 100 percent efficient. The author left out one important word - immediately - when he mentions loss. Electric heaters give instant heat when turned off and "almost" instantly lose it when turned off. Ceramic and oil heaters retain heat longer, and therefore are more efficient. Your study of thermodynamics should have included "retention". Any gains from retention once the heater is cut off, would have been lost when the heater was first turned on (ie. to initially heat the ceramic or oil). I second the comment above. This article is cleanly written by someone selling oil filled radiators who knows nothing about basis thermodynamics. How can any electric heater be more efficient than another? All the electrical energy has to go into heat. The area he should be focusing on is comfort levels. which, if any, are safest to leave on all night? Electric ceramic heaters are noisey...they continually emit a buzz...which can be annoying in an otherwise quiet room. On the other hand oil filled electric heaters are quiet. These results from a person who has both.